Apple has iPhone 4 launch over, we take a look at the vital statistics - has Apple finally cracked it? Past launches saw beautiful design touches and impressive technical achievements, but some critics saw products falling short. However, with the iPhone 4 Apple have ticked almost all the T3 boxes, and left few shortcomings for the competition to get hold of. One critical area for Apple's handsets has been multi-tasking. Nokia has been knocking out smartphones with multi-tasking for years, yet iPhone users to date have been knobbled. No longer, thanks to iOS 4. The iPhone's camera was bumped from two to 3.2 megapixels for the 3GS, but that's still behind most phones' pixel counts. An upgrade to five megs brings the iPhone 4 up to scratch, and the LED flash should future-proof it slightly, although Xenon flashes are beginning to filter through, such as onboard the Nokia N8. A lower-res front-facing camera also gets Apple into the video calling market, albeit a few years late. However, at the time of writing 25.2% of you had voted for a 8-Megapixel camera in our T3 Poll. Rumours of Apple bulk-buying 'almost HD' screens in response to the larger, brighter AMOLED ones found on the Google Nexus One and HTC Desire have borne fruit. The iPhone 4 sports a 3.5 inch display of 960x640 pixels, incorporating a retina display which increases the pixel density by x4, resulting in a display of 326 pixels per inch. The iPad already has the highest wireless speed, while analysis of the iPod Touch suggests that its Wi-Fi chip is capable of N Wi-Fi, even though it only actually uses the slower G variety. Now the iPhone 4 has stepped up as well. iOS4 will introduce iBooks to the iPhone as well as the iPad. Without e-ink the results could be eye-straining, but likely to be popular on the tube. 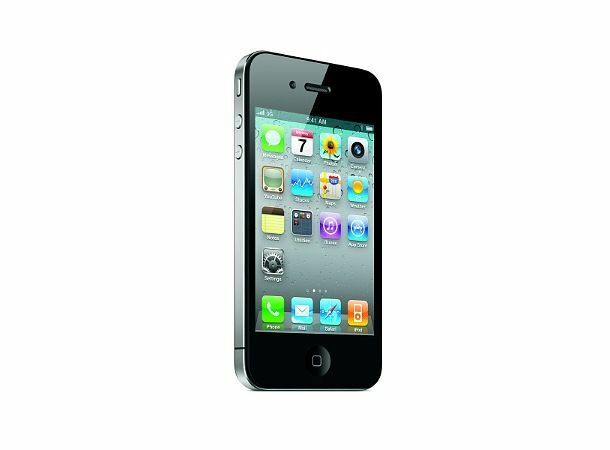 The iPhone 4 will ship from June 24, and most UK operators have already announced pre-order pages and packages. Tarrifs are still in the mix however. Is there anything else you'd like to see in a future iPhone? Do you agree with Duncan Bell that the new iPhone is 'back on top?' Let us know in 'What's missing from the iPhone 4 spec' poll here.